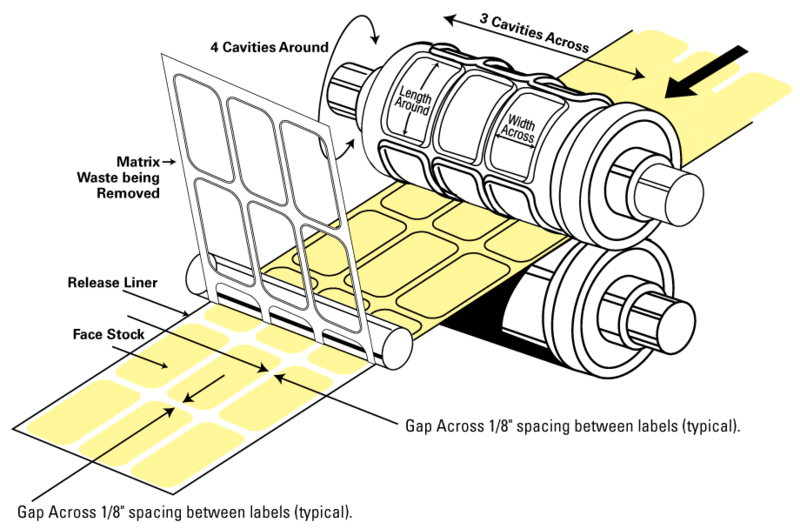 All label items are routinely packed in cartons. 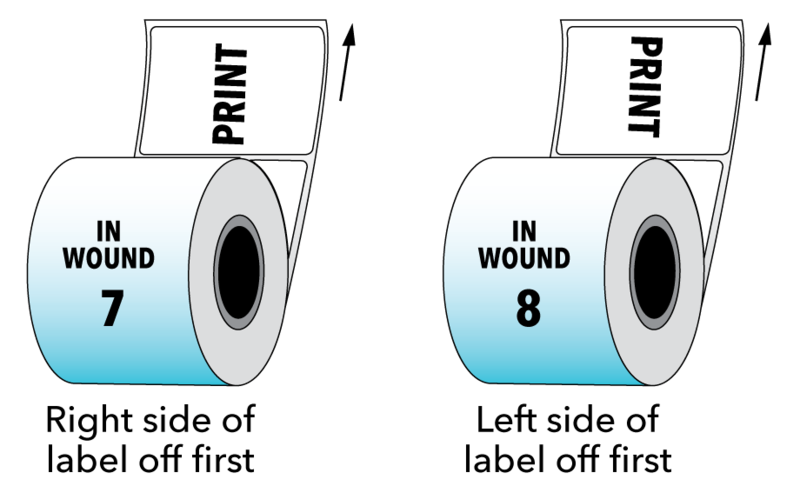 Roll labels will be supplied on a 3" core, 1,000 labels per roll unless requested otherwise (different quantity per roll may affect pricing). These specifications may vary, however, depending on label size. 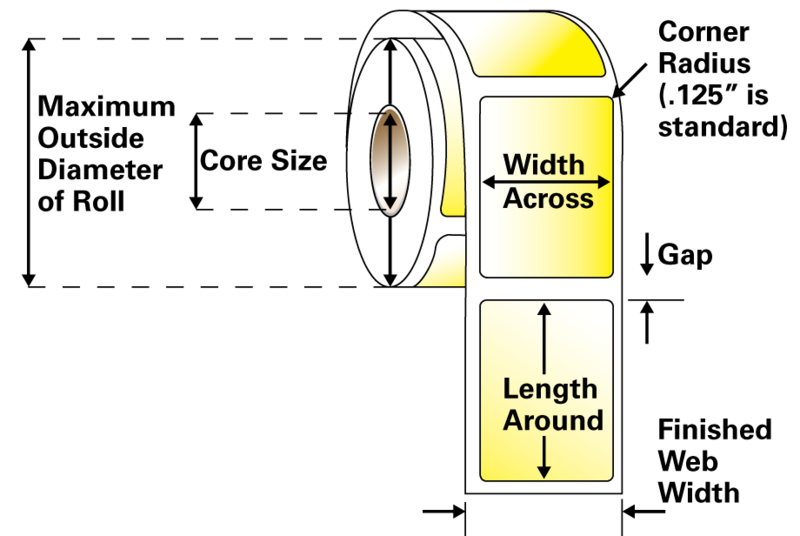 Call us for pricing roll quantities of 500, 250 or 100. 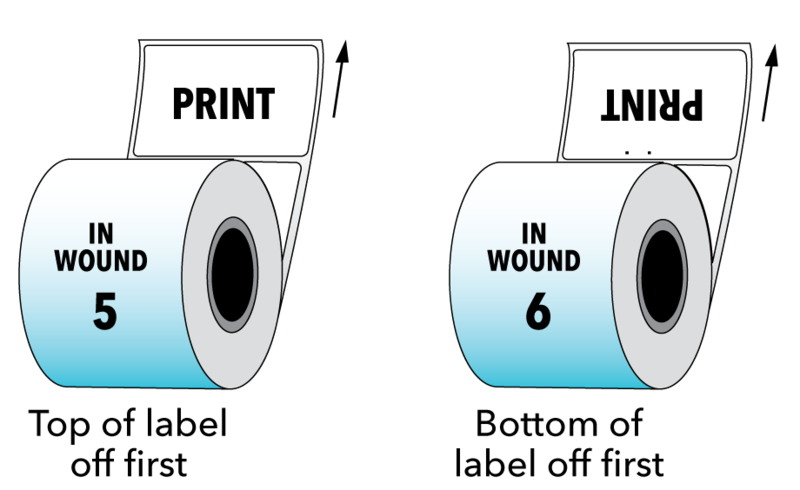 After completion of printing and die-cutting, the converted label roll is taken from the press to the rewind department for finishing. 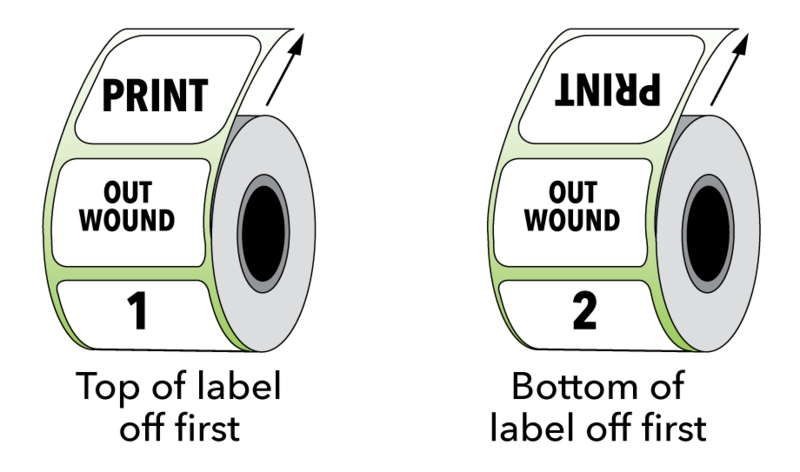 In this department, the labels receive a final quality inspection where any labels that do not meet quality standards are removed. 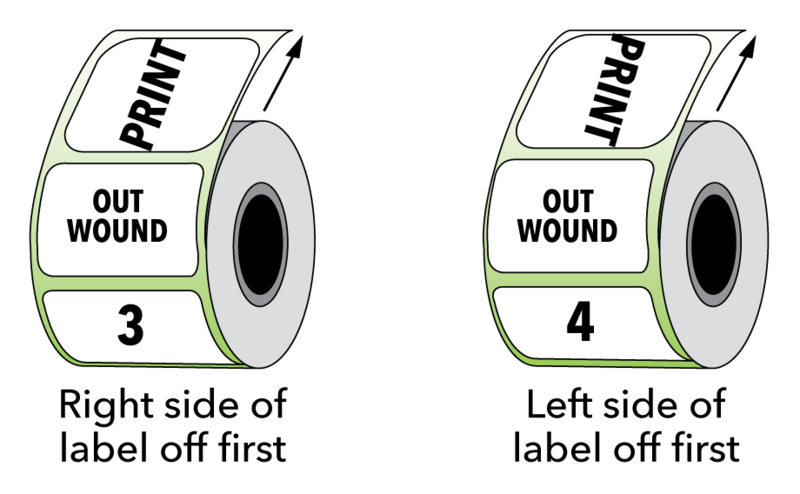 Electronic counters aid in rewinding the rolls to 1M, 500, 250, etc...whichever count is ordered. 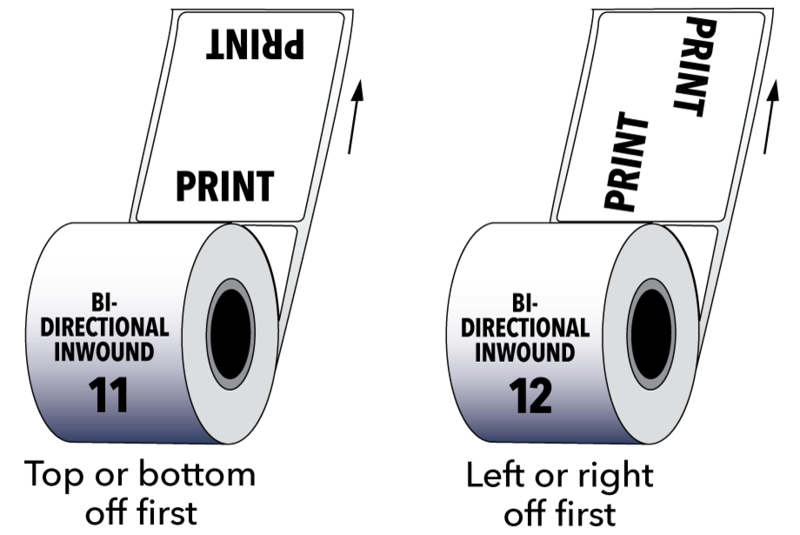 You can also specify your rewind direction according to the diagram below. 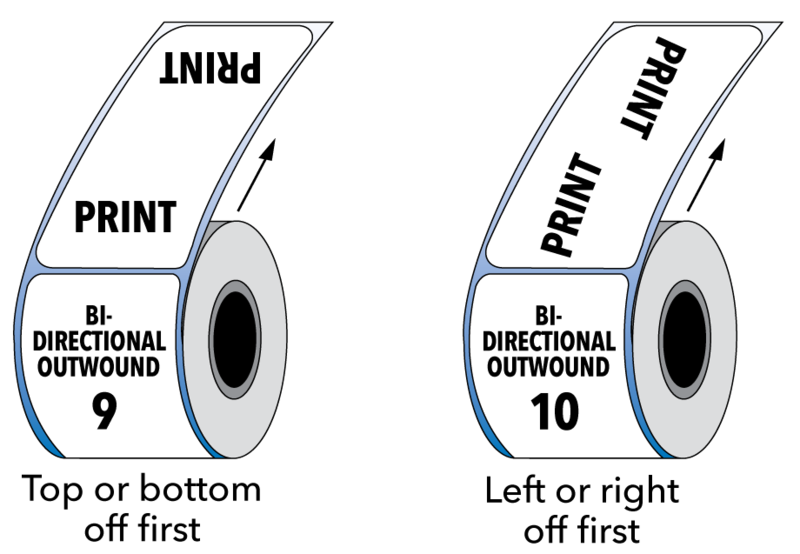 Rewind/web direction must be provided for any and all machine-applied or imprinted labels.